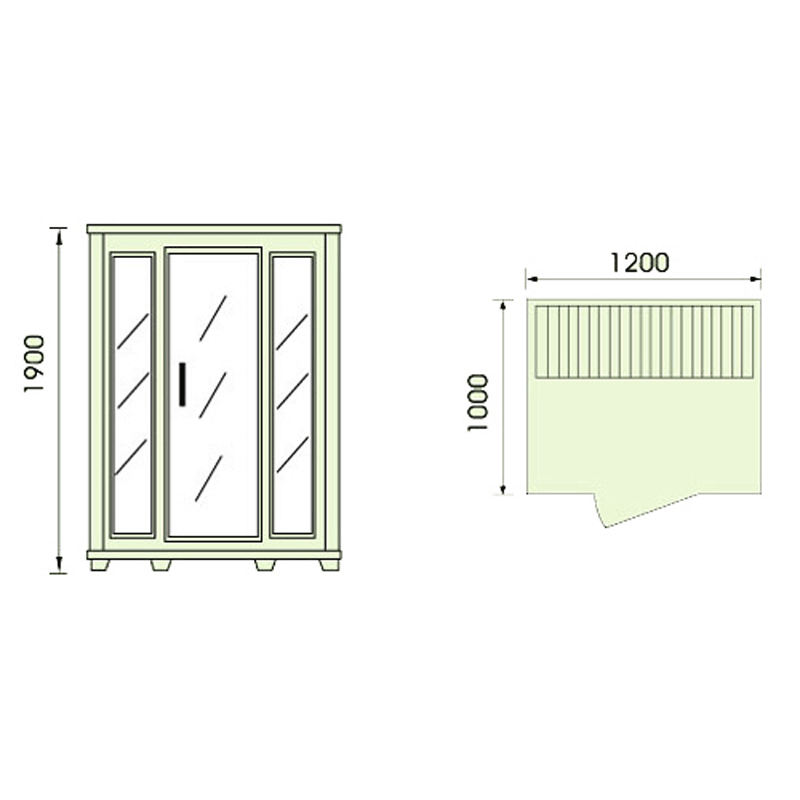 In Scandinavian countries almost every home has its own traditional sauna; however here in the UK having a home sauna is still considered a luxury. 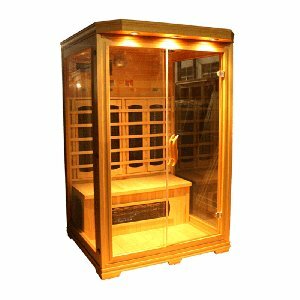 At UK Saunas we aim to make the possibility of owning a home sauna an affordable reality, allowing you to enjoy the many benefits of a 2 seater infrared sauna in the comfort of your own home. 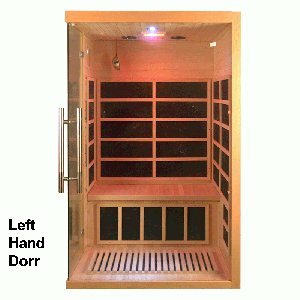 Infrared saunas are different to traditional steam saunas in that they use infrared rays to heat your body directly, rather than heating the air around you. This allows them to achieve the same results at lower temperatures, thus using less electricity, being better for the environment, and more cost-effective to run. 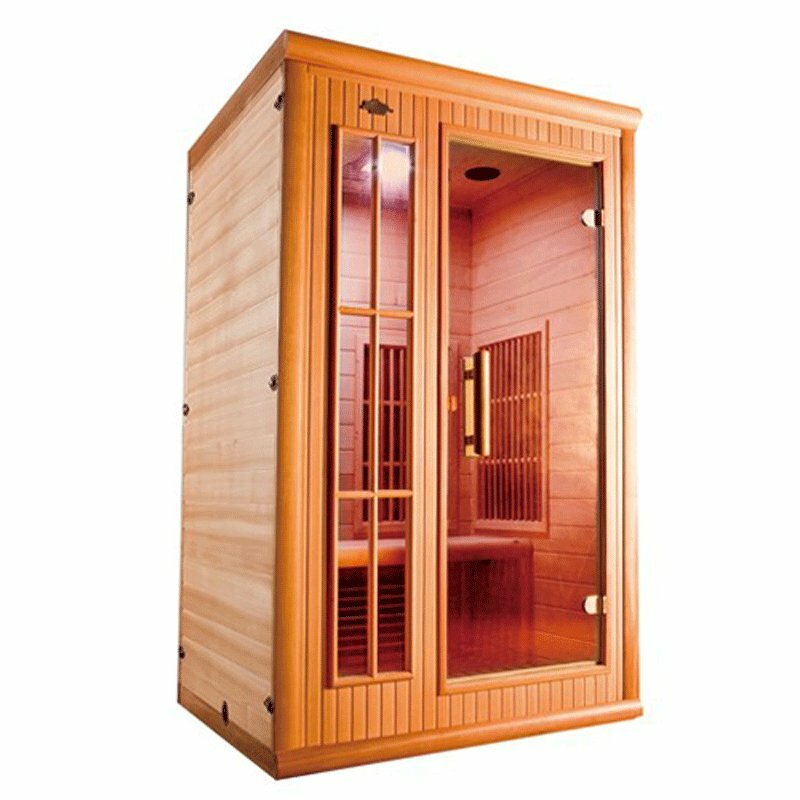 The two person infrared sauna that you see here, model number EAK-002, starts at just £859 and can be customised according to your preferred wood and heating method. 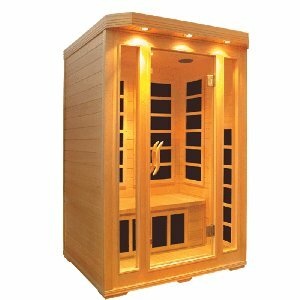 All of our saunas also come with an integrated entertainment system; choose from a radio CD player with USB connectivity, or an SD DVD player with MP5 connection option.